They are finally here! 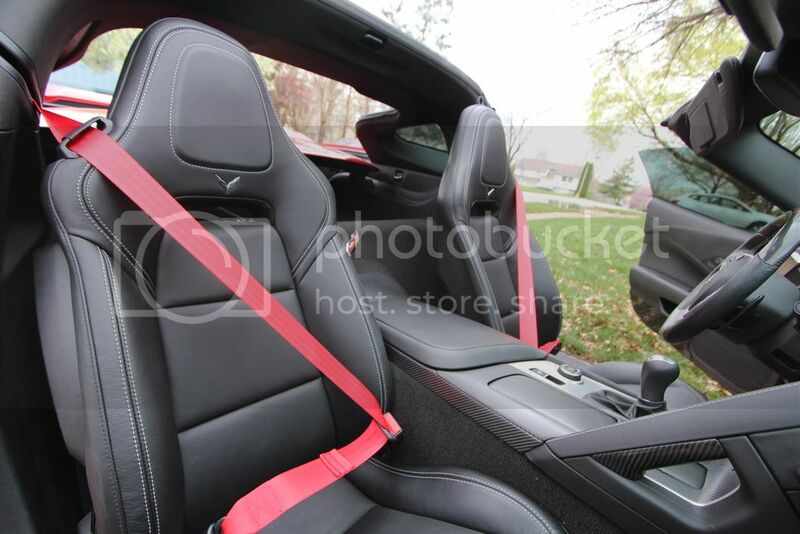 The only C7 in the world with red seat belts!!! I've had these on order from John Caravaggio for a long time. They arrived Thursday night and were installed yesterday. 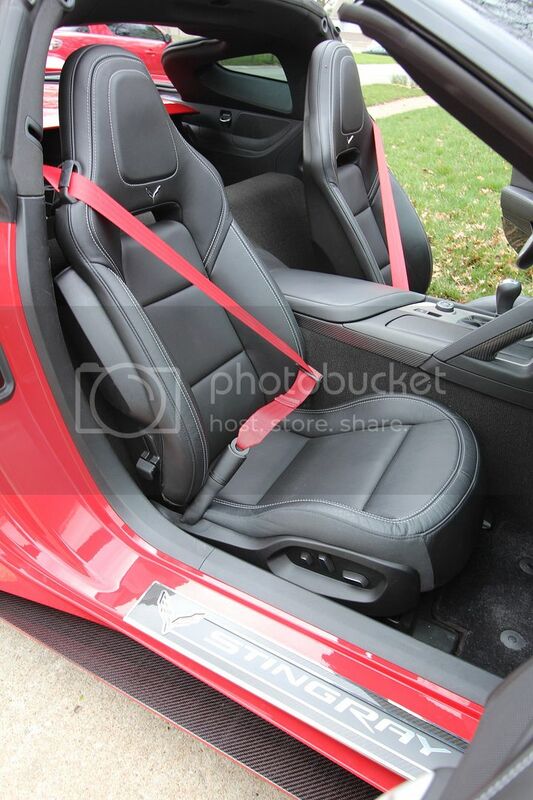 I think you are looking at the only C7 in the world that has red seat belts in it! Now that's just too cool. I may have to look into it after you've had enough time at the top. Yeah, I just that kind of guy Steve. Wouldn't want to steal your thunder too soon. Last edited by Rebel Yell; 03-26-2016 at 05:00 PM. Love it! Very nice with the interior! Aren't they illegal in California? Looks like a nice touch of class. I'm not worried-I don't live in California! Last edited by Steven Bell; 03-26-2016 at 05:44 PM. Looks great. Time to do the stitching in the same color! Congrats Steven, I know you waited a LONG time for those! Awesome, what did they cost? I wanted to do orange belts in my AO car, but at $550+ it's not worth it IMO. Rockin the red seat belts . Yea buddy!!! No, Steven, I had you by about a year....my wife spilled a cherry slush, with an extra squirt of cherry, on mine when it was 2 weeks old. Sorry. Last edited by Steven Bell; 03-26-2016 at 07:19 PM. How do you know they are the only ones in the world? Have you inspected every car? ^^^ Yes, as a matter of fact, I have! Steven, glad they finally arrived. They go great with your exterior and interior. Those are the FIRST red seat belts in the WORLD that I've seen on a TR C-7 with black interior. They look great, nice contrast with the interior, really sets it off. Quick Reply: They are finally here! The only C7 in the world with red seat belts!! !